Product prices and availability are accurate as of 2019-04-23 08:09:00 UTC and are subject to change. Any price and availability information displayed on http://www.amazon.com/ at the time of purchase will apply to the purchase of this product. Looking back on my writing career? Twenty-six novels, every one earning reviews of either 5 Stars, 5+ Stars, 5++ Stars, even two with 10 Stars? All from recognized review companies in the USA and Australia? Three (so far of the five works entered in international competitions winning Finalist Awards? Yes, I smile... and I’ve three more 5 Star entries to enter for EPIC 2019? A retired journalist, Kev spent many years touring the world writing travel articles for airline magazines. His many adventures and misadventures became the bases for his several Action/Adventure novels. A student of Australia’s founding as a convict settlement, Kev’s six novels on that unique history and the demise of the Aboriginal Dreamtime are legendary. Several biographies of significant people, including his own teen years (an EPIC Award winner, as have been two other works) have come from his pen. 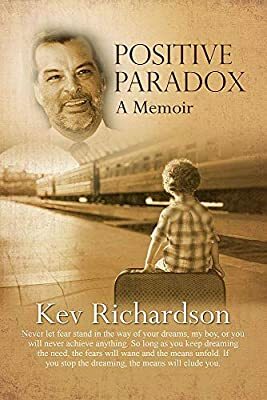 All of Kev’s twenty-six novels have been awarded by professional reviewers, either 5 Stars or 5+ or 5++ Stars and two others (part of a WW2 quartet), received from Conger Book Reviews, its first and only 10 Star reviews. All his works are available as both paperback and eBook. Twice married, Kev now enjoys single life writing on his experiences and studies, relaxing in the Himalayan foothills of exotic Thailand.